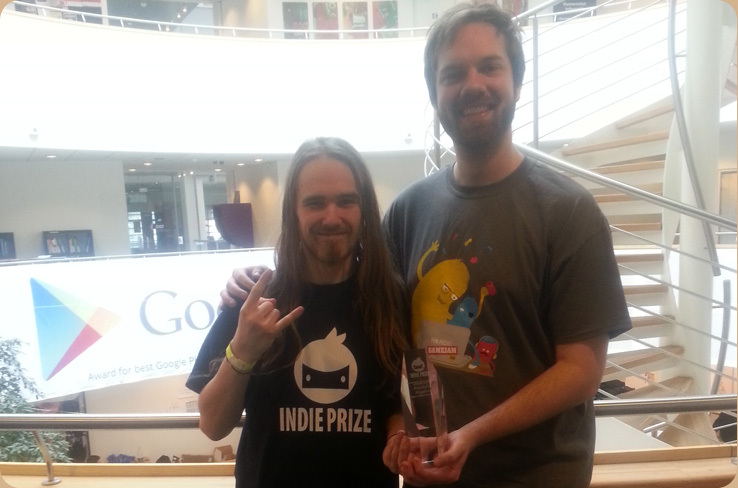 Megafuzz is a small, independent, two-man game studio, based in the cold north of Aalborg, Denmark, and founded in 2013. At Megafuzz, passion and independent freedom is key. Case in point - our flagship game, Spoiler Alert, was born at a small danish gamejam, and we chose to continue work on it and make it into what it is today. It's important to us to love what we do, or there would be no point. It's also important that we have the freedom to try out ideas that may seem unorthodox, as we like to keep things fresh. That is also why you will never know what to expect from us next - we will not stick to any one particular type or genre. We will try out many different things, with one common goal - to entertain. We also want our games to entertain as many people as possible, and that is why we have a strong emphasis on cross-platform development. Most of, if not all of our titles, will be compatible with anything we can make it work on. If we can make it play on your TI-30 calculator - we will! On June 30th, 2014 we released our debut game, Spoiler Alert for Windows PC, Mac OS X and Linux on Steam. Besides that, we've already planned a number of other great titles coming up this year and next year, which we look very much forward to bring to a device near you.